These are so cute!!!! I had to enlarge the picture and then saw all the details, you did an awesome job with these owls. I love this punch as well, you can do so many things with it. I just made 3×3 cards and posted them today too! I love your blog and will be following it! Thanks for leaving a sweet comment on my chocolate clipboard card this past weekend during our blog hop! Oh your owl project is just ADORABLE!! LOVE the big owl… soooo cool! 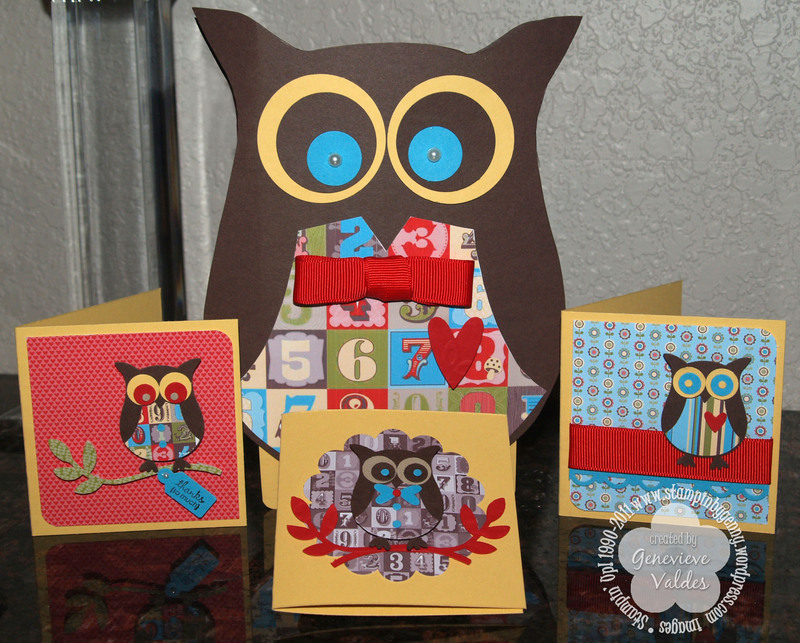 Your owl projects are just adorable. I saw them on the HSS blog and loved them.